Kinosho Kikaku is happy to present new solo exhibition by artist H.K : “Container of the ghost 2nd GIG“. 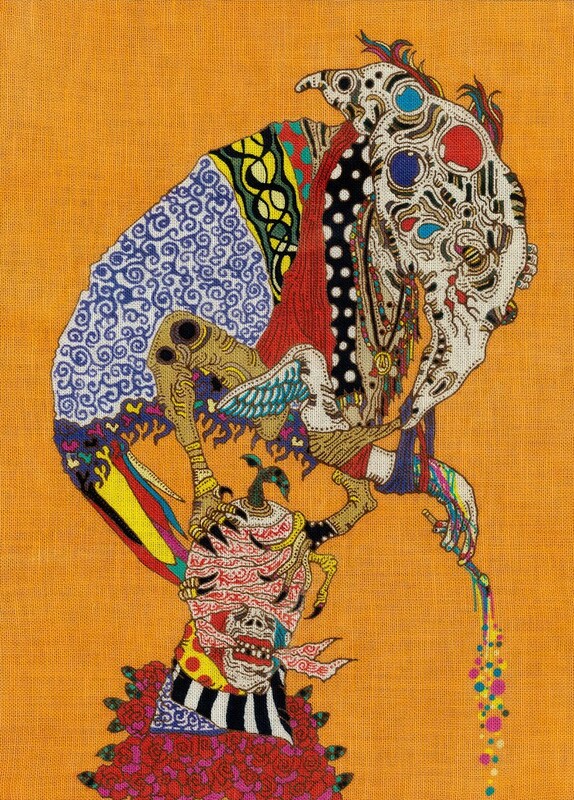 About the exhibition : For H.K, the soul is stuck on the body rather than existing within it. There are times when he feels as if his soul will be slipped off the body and nowhere to be found, as if the human body is a container, and the soul constantly disagrees to settle within it. The existence of the consciousness becomes chaotic and doubtful. Through the act of painting, he is able to grasp the solid feeling of being alive as a human being. In such sense, his works can be considered as the result of the struggling of preventing his chaotic self consciousness from fading away, a testimonial “lump” that might as well compensate the complicated feelings of doubtfulness of the existence of the soul. “I feel like I am able to feel truly alive as I try to portray the slipping away of the soul.” He commented. 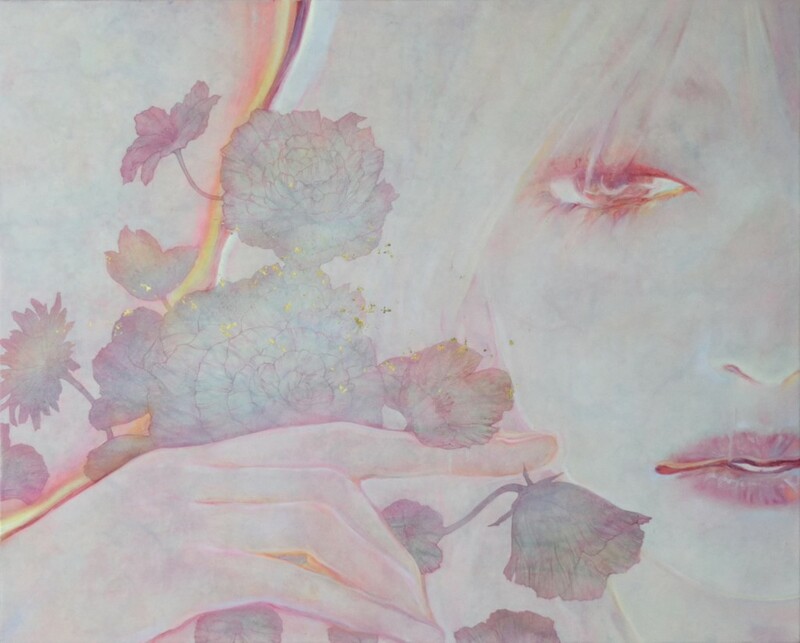 This exhibition shows works that depict “the soul’s attachment to the body”, and “the body as the container of the soul”, adding in flowers as significant symbolic elements to the theme. H.K considers his works more as landscape paintings than a composition of flowers and human figures. By transforming human figures into landscapes, the human characteristics decade thus make them become more of an obscure figure. The unique spacial composition of “Ma” in Japanese painting also elaborates the presentation of the soul trapped between life and death. The blossoming and decaying of flowers, on the other hand, symbolizes the passage of time. It is a celebration of birth and at the same time, a farewell tribute to death. Flowers serve as an amplification of the image of human. 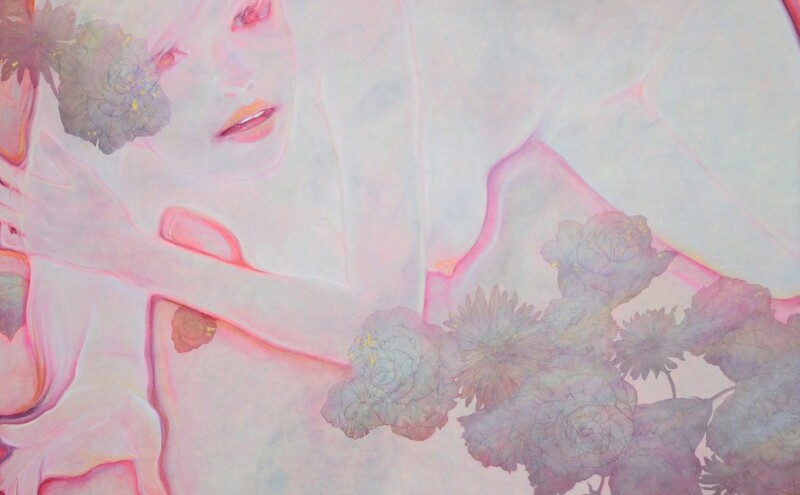 In his works, the two surpass the physical boundaries of flowers and human and purely exist as living creatures of equality. Both serve as the carriers that express the relationships between alive and death as well as body and soul. 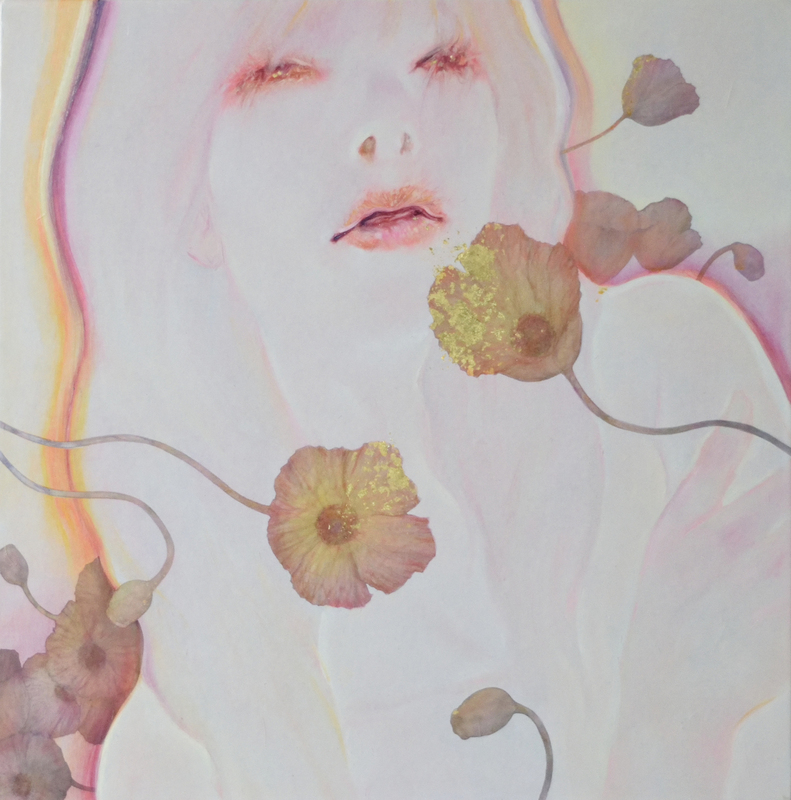 About H.K : Graduated from the Department of Oil Painting, Musashino Art University, H.K is a professional artist who bases his creative activities in Tokyo. He tries to visualize the psychological state of the human mind and mystery of the soul in his works. In recent years, With the experience of participating in various exhibitions and international art fairs, his future as an emerging artist is greatly anticipated. Kinosho Kikaku Gallery will host the new solo exhibition of Shoichi Tsurukawa, “Step”. The work of Shoichi Tsurukawa involves a complex technique of dyeing, cotton wadding and a deep meaning. His work can be read in different ways and offers many details. The artist will be present for the opening reception on June, 11th. It is a great chance to learn more about Tsurukawa’s work.